Zacks Equity Research highlights: Ryder System (NYSE: R) as the Bull of the Day and Sara Lee Corp. (NYSE: SLE) as the Bear of the Day. In addition, Zacks Equity Research provides analysis on Wal-Mart (NYSE: WMT), Family Dollar (NYSE: FDO) and Kroger’s (NYSE: KR). Full analysis of all these stocks is available at http://at.zacks.com/?id=2678. We are upgrading our recommendation on Ryder System (NYSE: R) to Outperform on strong fourth quarter results and a solid outlook. The fourth quarter earnings beat the Zacks Consensus Estimate on improved commercial rental businesses. Improved demand and supply conditions, strong performance in commercial rental and used vehicle sales, as well as solid volumes in supply chain business is expected to enhance the operating results going forward. Ryder’s continued investment in fleets and technology will fuel earnings growth in the future despite high maintenance cost. The strong balance sheet encourages the company to expand its footprint via acquisitions. Further, Ryder remains committed to its shareholders via dividends and share repurchases. Thus, we expect Ryder Systems to outperform the broader market. Sara Lee Corp. (NYSE: SLE) is a global manufacturer as well as marketer of high-quality brand products and possesses a formidable portfolio of well-established brands. However, as the company uses different commodities and raw materials, cost-push inflation remains a key risk factor. Further, with the intense competition prevailing in the branded food market, Sara Lee is constantly under pressure to maintain its position. In addition, after the resignation of Sara Lee’s Chairman and Chief Executive Officer Brenda Barnes and the divestiture of its North American bakery business, there are big questions going forward. Sara Lee is considering a sell-off itself to JBS, a Brazilian company. We currently downgrade the shares of Sara Lee from Neutral to Underperform. Initial Claims for Unemployment Insurance dropped by 22,000 last week to 391,000 (last week was revised up by 3,000, so one could see it as a 19,000 decline). This was much better than the expected level of 410,000. The weekly numbers have been very erratic of late. This is a series that tends to be a bit on the flakey side around the holidays, but that effect should now be subsiding, so perhaps this is a more normalized level. Let us hope the decline continues. If we are below the 400,000 level — and can stay there — it would probably signal the start of robust job growth. While we have had some big upward spikes in recent weeks, the overall downward trend in initial claims seems to be intact. We have gotten out of the “trading range” that initial claims have been in for the last year. Initial claims had been generally trending down since they hit a secondary peak of 504,000 (after revisions) on 8/14. It seems likely that the harsh winter weather may be playing a role in the erratic behavior. The weather would tend to have more to do with the timing of claims, not the overall level, making the week-to-week numbers more erratic, but not make much of a change in the overall level. Since claims can be volatile from week to week, it is better to track the four-week moving average to get a better sense of the trend. It fell by 16,500 to 402,000, so it is knocking on the door of the sub-400,000 level. As far as the domestic economy is concerned, robust job creation has been the last big part of the puzzle to fall into place. Whether it can withstand the pressures from abroad and the increased oil prices is an open question, but right now things are starting to look better on the jobs front. Relative to a year ago, the four-week average is down by 71,500 or 15.1%. Extended unemployment benefits are, dollar of dollar, one of the most effective forms of economic stimulus there is. It is a pretty good bet that the people losing their extended benefits have depleted their savings and run up all the debt they can in trying to make ends meet. The maximum unemployment benefit works out to be just $20,800 per year, or less than the poverty line for a family of four. You think any of those people have been able to sock any of that away? There is a concern that by cushioning the blow of unemployment, people might be more reluctant to take a marginal job opportunity, but a below poverty level income is not that much of a cushion. I’m not sure it is good for the economy for highly skilled people to be taking jobs in other fields that have no use of those skills, and then be unavailable when those skills are needed again. The people who get extended benefits tend to spend the money quickly on basic needs. This, in turn, keeps customers coming in the door at Wal-Mart (NYSE: WMT) and Family Dollar (NYSE: FDO). It means that, at the margin, some people are able to continue to pay their mortgages and thus helps keep the foreclosure crisis from getting even worse than it already is. However, by the time they are well into extended benefits, they might also be spending food stamps as well as the unemployment check at Kroger’s (NYSE: KR). These customers keep the people at Wal-Mart, Family Dollar and Kroger’s — and of course their competitors — employed. It also keeps the people who make and transport those goods employed as well, although in that case much of the stimulus is lost overseas if the goods are imported. Get the full analysis of all these stocks by going to http://at.zacks.com/?id=2649. Updated throughout every trading day, the Analyst Blog provides analysis from Zacks Equity Research about the latest news and events impacting stocks and the financial markets. Zacks “Profit from the Pros” e-mail newsletter provides highlights of the latest analysis from Zacks Equity Research. Subscribe to this free newsletter today by visiting http://at.zacks.com/?id=7158. Zacks.com is a property of Zacks Investment Research, Inc., which was formed in 1978 by Leonard Zacks. As a PhD in mathematics Len knew he could find patterns in stock market data that would lead to superior investment results. Amongst his many accomplishments was the formation of his proprietary stock picking system; the Zacks Rank, which continues to outperform the market by nearly a 3 to 1 margin. The best way to unlock the profitable stock recommendations and market insights of Zacks Investment Research is through our free daily email newsletter; Profit from the Pros. 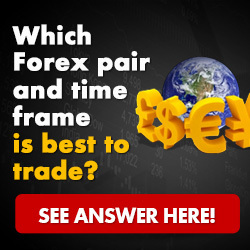 In short, it’s your steady flow of Profitable ideas GUARANTEED to be worth your time! Register for your free subscription to Profit from the Pros at http://at.zacks.com/?id=4582. Visit http://www.zacks.com/performance for information about the performance numbers displayed in this press release.